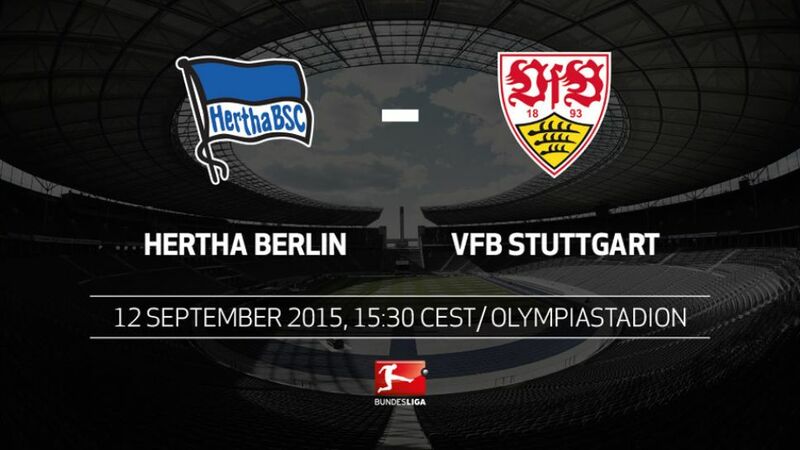 Berlin - VfB Stuttgart have twice before started a season with three consecutive defeats only to then plunder goals on their fourth outing - Saturday's opponents Hertha Berlin cannot say they have not been warned (kick-off 15:30CEST/13:30GMT). Stuttgart's three defeats with a minus six goal difference represents their worst-ever start to a season.Hertha have won just one of their last ten Bundesliga games, and have picked up a league-low seven points in that time.Hertha's 3-1 defeat in Dortmund last time out was their maiden defeat of the season and the first time they had conceded more than twice in a game under Pal Dardai.Vedad Ibisevic, who was signed by Hertha from Stuttgart this summer, scored his first Bundesliga goal against VfB (for Alemannia Aachen in a 4-2 defeat on 4 November, 2006) and has not won any of his eight Bundesliga games against his former club in the colours of either Aachen or TSG 1899 Hoffenheim (three draws, five defeats).Despite their team's defeats, Stuttgart's Daniel Didavi has had the most shots on goal of any Bundesliga player (19) while team-mate Filip Kostic has set up the most attempts on goal (15).Hertha last played host to Stuttgart on 3 October 2014 when Salomon Kalou scored twice in a 3-2 home win. It is the Ivory Coast international's only brace in 30 Bundesliga games.